Commercial fridges are subjected to continuous rigor. Naturally, this takes a toll on their health and makes these machines prone to frequent shutdowns and mechanical snags. Thus, a commercial fridge that is regularly maintained can work for a long period of time without posing any trouble whatsoever. Therefore, unless you are not taking adequate care of your refrigerator, it is undoubtedly going to leave you with red face sooner than later. More importantly, it will give way during an emergency, which is in no way good for your business. Just imagine the fridge at your departmental store suddenly refusing to work on Christmas Eve! Won’t that make a difference to your business? Surely it will! Hence, here are a few advantages that you will enjoy if you maintain your commercial fridge frequently. This takes us back to the start of this chapter, where the incident of sudden breakdown on Christmas Eve was described. Such an incident will inevitably raise the blood pressure, and leave you utterly frustrated and flabbergasted. That is why you need to regularly have your commercial refrigerator checked by a trained expert from a company that carries out commercial fridge repairs in Sydney CBD. This will help the technician to be aware of any impending technical snag, if possible and then take appropriate action. 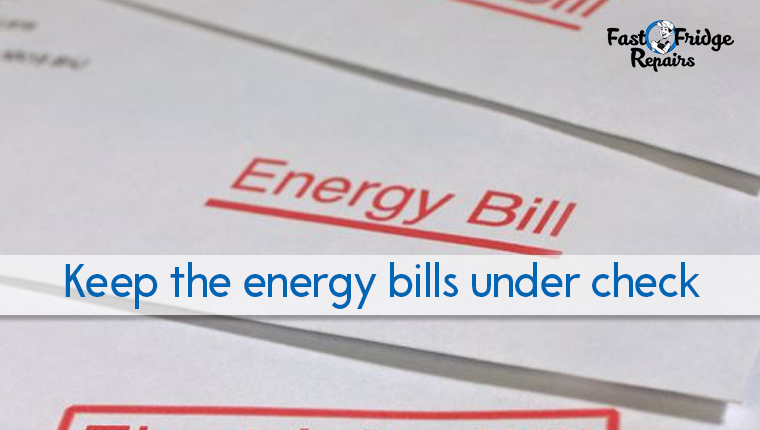 Also, frequently checking the electrical circuitry will ensure there are no sudden instances of short circuits. Also, this helps you to replace the worn out spare parts before they throw the unit out of order. In short, a timely and frequently serviced commercial refrigerator goes a long way in keeping instances of sudden breakdowns at bay. Regular check up of commercial refrigerators ensures that you are able to save between 5 to 10 percent of your energy costs. Refrigerators that are left unattended lose their energy efficiency. This is because the condenser coils get dirty, and the coolers and the freezers have to work at an extra pace to maintain the designated interior temperature, thus causing the machine to consume more energy. Commercial refrigerators, if not timely and adequately serviced, can be a source of discomfort for your customers, leading to a downslide in business. For instance, the presence of blotchy and smelly ice can be a source of concern for your customers. It can very well drive them away from your store. More alarmingly, it can very well be the source of illness. Refrigerators that are not taken care of for long can be breeding ground of bacteria as well as viruses like Salmonella, E. Coli, Listeria and the likes. In worst case scenarios, they can be a threat to your customers’ health and can cause health code violations, attracting lawsuits. 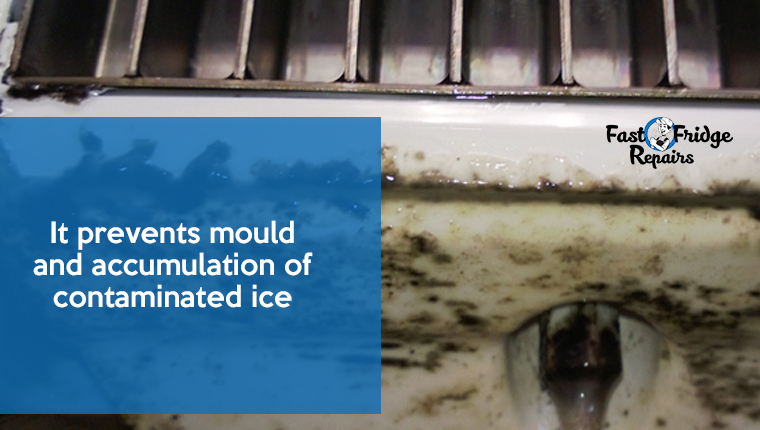 Frequent servicing of commercial fridges prevents accumulation of dirt and mould inside the ice maker. You will not be able to prevent these issues from surfacing even if you put the refrigerator under the automated cleaning cycle. 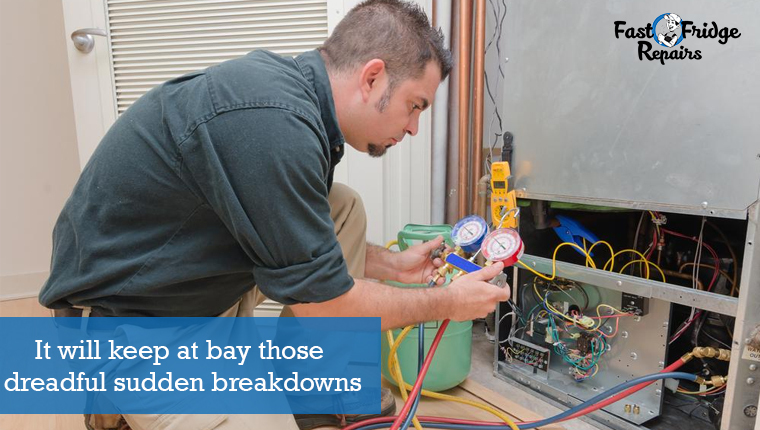 Thus, the best way is to schedule periodic maintenance by an expert from companies of Maytag, performing commercial fridge repairs. For instance, you can opt for Fast Fridge Repairs. It is one of the most adored names when it comes to maintaining and servicing commercial refrigerators. Professionals of this company are the best to take care of these machines, ensuring that they are in the pinnacle of health. 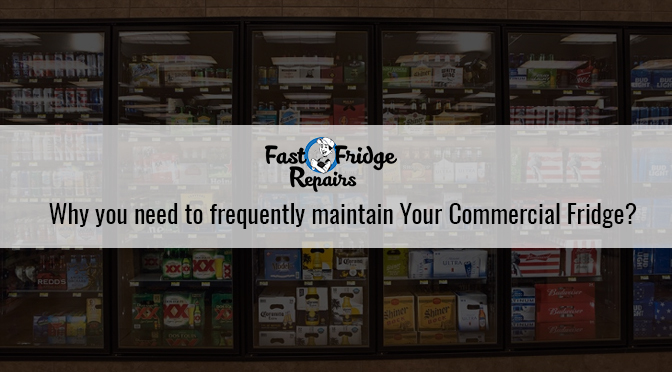 Hence, if you are in a mood to give the best to your customers, and make sure you can do so without spending much for your refrigerator opt for frequent maintenance by Fast Fridge Repair. It will pay off!